The California Education and the Environment Initiative (EEI) is a statewide effort to make environmental literacy an important focus throughout California. This program is providing teachers with multidisciplinary curriculum and teaching materials for the classroom. These materials teach environmental education through the lens of traditional subjects like history, language arts and science. The California Education and the Environment Initiative is a program of CalRecycle’s Office of Education and the Environment (OEE). Their mission is to teach environmental literacy among all California students as part of their elementary and high school education. This is important as environmental literacy builds critical thinking skills that prepare our youth to be future stewards of our planet. 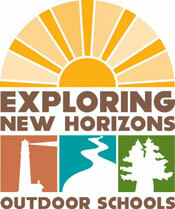 This is a great partnership with the learning that takes place at Exploring New Horizons Outdoor Schools. The EEI Curriculum includes 40 science units that can help support lessons and units of study focused on Next Generation Science Standards. These units are available for download and include teachers manuals and student workbooks with reading materials, writing prompts, and thought provoking lessons. These units draw on pertinent topics facing Californians today including climate change, drought and water use. This curriculum challenges students to think critically and make informed decisions about the challenges affecting our world.